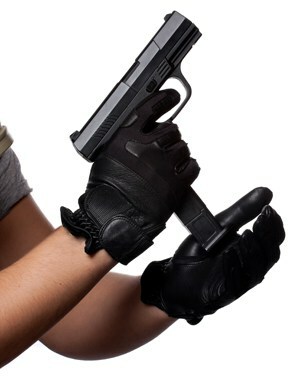 A man loading or unloading a clip into a black handgun isolated over white. Works great for crime or home security concepts. In Milpitas, California, two suspects accused of robbing Kohl’s have been arrested. It happened on Great Mall Drive, and police say they were on the run for nearly a week. Police say Miguel Tovanche and Carmen Vargas were stopped after trying to take a cart full of merchandise out through an emergency exit in Kohl’s. That’s when Tovanche pulled out a gun and fired at loss prevention asasociates. The two ran from the officers and could not be found for nearly a week. Milpitas police detectives caught up with the two in Alameda. Both suspects were brought back to Santa Clara County and booked at the Santa Clara County Jail for their outstanding warrants. Here is the full statement from police: “On Thursday, July 19, 2018, at approximately 1:48 PM, Milpitas Police officers responded to a theft at the Kohl’s, located at 1150 Great Mall Drive. Kohl’s loss prevention officers observed a woman pushing a shopping cart filled with merchandise out the emergency exit to an awaiting silver Mercedes-Benz driven by an unknown male. The two loss prevention officers were able to retrieve their property before the female suspect could load it into the vehicle; however, the male suspect retrieved a firearm and confronted both loss prevention officers. The male suspect pointed the firearm at the loss prevention officers and pulled the trigger; but the firearm malfunctioned. Both suspects fled the scene in the Mercedes-Benz and their images were captured on surveillance video. Milpitas detectives sent flyers to other law enforcement agencies requesting assistance identifying the suspects’ pictures, which were captured on Kohl’s surveillance cameras. Alameda Police Department detectives identified the suspects as Miguel Tovanche and Carmen Vargas. Both suspects were wanted for a robbery in the City of Alameda. Milpitas Police detectives obtained a $60,000 Ramey arrest warrant for Miguel Tovanche for assault with deadly weapon, burglary, and conspiracy; plus a $10,000 Ramey arrest warrant for Carmen Vargas for burglary and conspiracy. Detectives worked tirelessly throughout the night and obtained a search warrant for a residence, related to Tovanche, in Castro Valley. On July 20, 2018, at approximately 2:00 a.m., the Alameda County Sheriff’s Office SWAT team served the search warrant and rendered the home safe to enter. Milpitas Police detectives took over scene management and located evidence in the residence. Tovanche and Vargas were not at the residence and remained at-large. On Tuesday, July 24, 2018, at approximately 6:09 AM, the Alameda Police Department located and arrested Miguel Tovanche and Carmen Vargas for their warrants in the City of Alameda. Milpitas Police detectives traveled to Alameda and took custody of Tovanche and Vargas. Both suspects were brought back to Santa Clara County and booked at the Santa Clara County jail for their outstanding warrants. A second former AT&T employee accused of stealing $232,000 worth of iPhones and iPads from the Summer Street store has been extradited from New York. Garfield Lawrence, 38, of Bronx, New York, has been charged with first-degree larceny and conspiracy to commit first-degree larceny. He is being held in lieu of a $100,000 court appearance bond. The arrest follows identical charges filed in April against fellow AT&T store clerk Cody Malcolm, also from the Bronx, who is free on bail. The owners of an Arizona restaurant said an anonymous former employee sent them $1,000 along with an apology for stealing decades ago. Carlotta Flores, owner of the El Charro restaurant in Tucson, said a letter came in the mail last week from anonymous woman who said she worked at the eatery in the 1990s while attending the University of Arizona. Flores’ son, Ray, posted a photo of the letter to Facebook. “One of the waiters I worked with had encouraged me to ‘forget’ to ring in a few drinks a shift and pocket the cash. And for some stupid reason, I did it,” the woman wrote. The woman, who identified herself only as “a thankful former employee,” said the theft was out of character for her. “I grew up in the church, I knew better. I hadn’t stolen a dime before then, nor have I since,” she wrote. “Thankfully, I was a terrible waitress and you all fired me before it could amount to more than a few hundred dollars total.” “It’s been 20 years, but I still carry great remorse. I am very sorry that I stole from you. Please accept my apology + this money as a repayment + 20 years of interest. May God forever bless you+ your family,” the letter reads. The envelope also contained $1,000 cash, the Flores family said. “Some of my managers read the letter and they actually had tears in their eyes because they know that there’s very long days and food has a very little profit margin on it,” Carlotta Flores told KVOA-TV. She said the letter came at an opportune time to restore her faith in humanity. “I had my purse stolen and this sort of renewed the faith that we had a lot of good people out there,” she said. Flores said she is hoping the woman will come forward so she can return the money. A 38-year-old San Antonio man was arrested Monday night in connection with the bizarre theft of a horn shark from the San Antonio Aquarium on Saturday. Anthony Shannon was one of three people people captured on surveillance video stealing the shark using a stroller by disguising the shark as a baby. Shannon is charged with felony theft $2,500 – $30,000. His bond was set at $10,000, according to the Bexar County Magistrate’s Office. The female shark was returned to the aquarium just after 9 p.m. Monday. Police located the truck involved in the shark heist early Monday morning and Salvaggio said when news outlets broadcast the information and surveillance footage, viewers began calling police and pointed to a home in the 3900 block of Chimney Springs, near where the truck was found. Authorities returned to the home Monday night and got confessions from Shannon and his neighbor. Salvaggio said police are waiting to talk to the woman who is seen in surveillance video with the two men and said he is unsure whether she will be immediately charged. The other man and woman will be “charged at large,” Salvaggio said. Police said the group stole the shark from an open pool where visitors are allowed to reach in and pet the various species in the tank. Two men and a woman are wanted in connection with the theft. In a search for innovators in experiential retail, Chain Store Age asked readers to nominate retail centers worthy of being named among the Top 10 Retail Center Experiences in the nation. The editors’ picks start with number 1, Westfield Century City: If you’re going to spend a billion dollars to renovate an already successful center, you’d better have a lofty goal, and Westfield did. “We wanted Century City to be the home of retail in L.A.,” said Westfield executive VP of leasing David Ruddick. Ensuring it would be a home worthy of the 21st century, Westfield engaged L.A.-based design guru Kelly Wearstler to metamorphose the space with walkways and gardens peppered with secluded lounges and cabanas, canopies of olive and palm trees, and alfresco dining promenades. Century City offers 50-plus food choices, including L.A.’s own Eataly location. “What we created was a modern retail resort,” Ruddick said.